Braxton will not be a part of the show when it returns for a 3rd season, it was announced on Sunday (05-22-16). 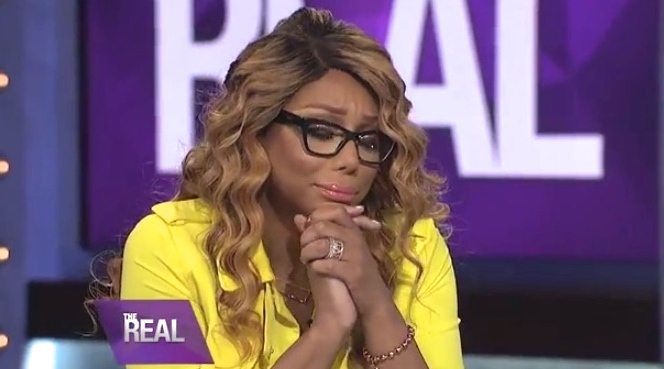 We haven’t heard from Tamar, but the show is claiming it’s a mutual decision. If that’s true, it doesn’t exactly sound like a “mutual” decision. And what about her claims of someone she “stupidly trusted” that stabbed her in the back? You can read more about that HERE. In any event, we wish Tamar the best. We also wonder who will replace her? In fact, who do YOU think should replace her? I thought she was not going to be singing anymore because of her condition, plus her last album didn’t do well so after 3 albums and none of them went gold. Tamar never sold out tours her being on the Real was good for her but I guess she could not get along with nobody as always.